Old NCERT Vs New NCERT Books for UPSC Exams | IAS EXAM PORTAL - India's Largest Community for UPSC Exam Aspirants. 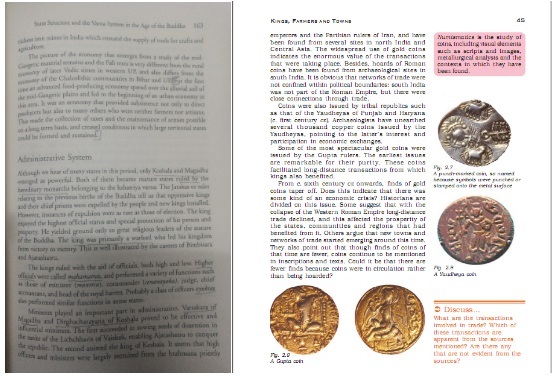 Another question that is often asked is whether to read Old NCERT or New NCERT Books? Availability: While both soft and hard copies of new NCERTs are easily available in the market, old ones are a difficult find. The hard copy can be bought only in Delhi that too not in a very reader friendly format. Same is the case with soft copies. You can enquire about the books with your friends and get them copied instead of going to Delhi especially to buy them, if based out of Delhi. How to choose NCERT Books? There is no standard answer to this question. A lot depends on the individual’s aptitude and other factors such as nature of the subject (static/dynamic), availability etc. Those with a pictographic memory will be drawn towards the new NCERTs while people with affinity towards text will prefer the old ones. Which of the following is/are included in the capital budget of the Government of India? 1. Expenditure on acquisition of assets like roads, buildings, machinery, etc.